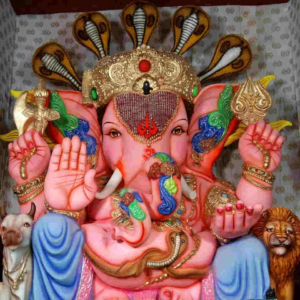 Ganesh Chaturthi is on its way, more 9 days left for famous festival. 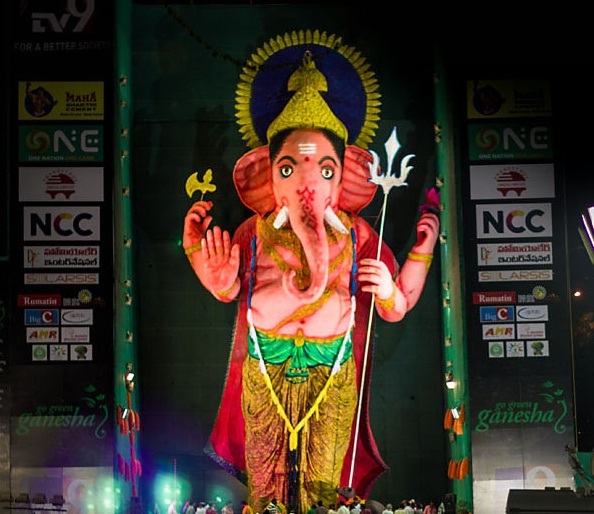 This year 2018, Hyderabad will cross 1 Lakh Ganesha idols in twin cities (including Cyberabad & Secunderabad). The 10 days Vinayaka Chaturthi festival will starts on 13 September 2018 (Thursday) and immersed on 21 & 22 September 2018.
named as “Sri Sakthi Peeta Shiva Nagendra Maha Ganapathi”. 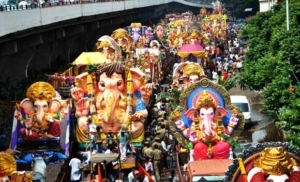 head right to Hussain Sagar Lake to watch procession and final ‘visarjan’. 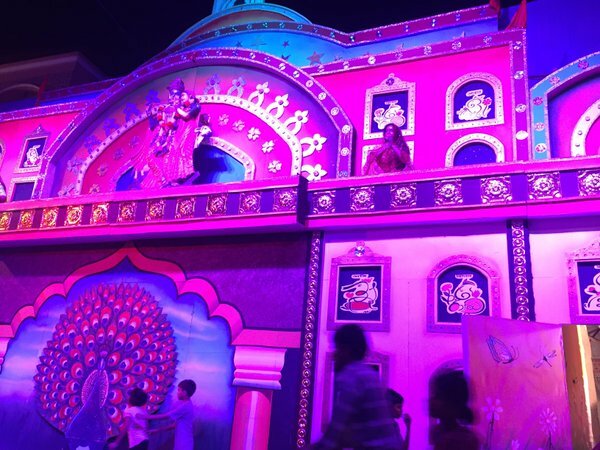 very popular ganesh utsav samithi. City. 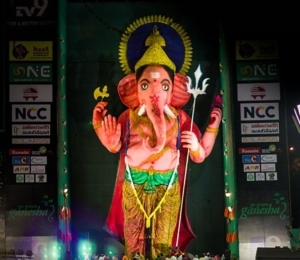 It has become the latest Ganapathi in Hyderabad.